Part of the Monticello lighting collection by Eichholtz, the Monticello Wall Lamp will add the finishing touch to a living space or entranceway. Inspired by antique lanterns, the structured framework is fitted with panels of clear glass to help diffuse and reflect light. Finished in a deep matte black, the Monticello Wall Lamp will add drama and depth to your scheme. Position either side of a fireplace for an elegant finish or bring ambience to a narrow hallway or entranceway. The angular wall lamp houses a cylindrical cream shade to add light and contrast to the design. 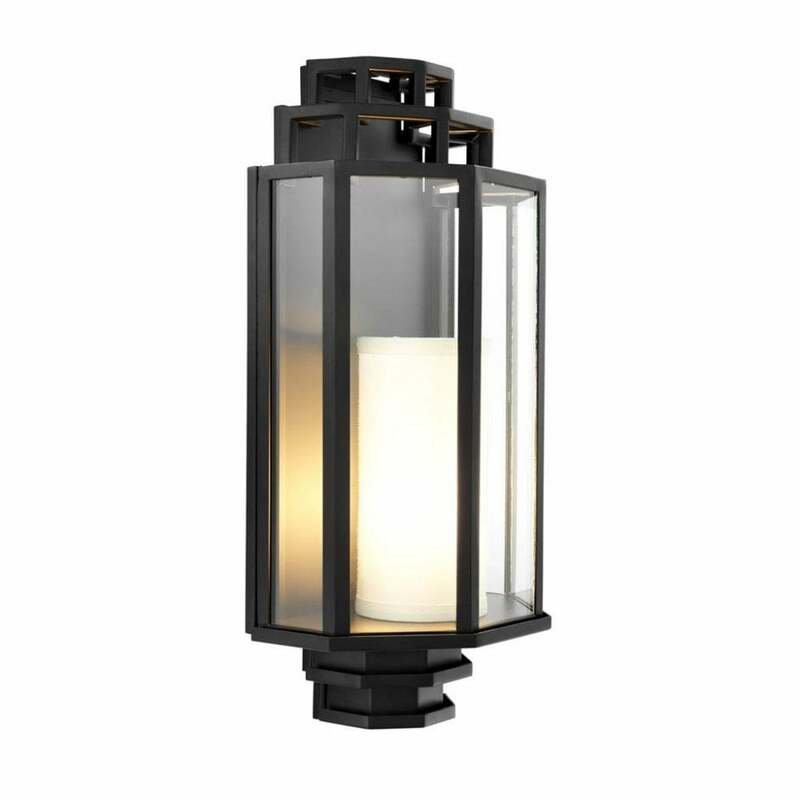 This classic lighting piece will suit a wide range of interior styles from chic and contemporary to cool traditional. Make an enquiry for more information.